It can be fun to buy kids gifts. And it can feel good to give them the things that you weren't able to have as a kid. Over-the-top birthday parties, lavish vacations, piles of electronics, and constant entertainment sounds like a great childhood on the surface. But giving kids too many possessions, too many privileges, and too many opportunities can actually be bad for them. In fact, in some cases, overindulging children actually constitutes neglect and it can have lifelong consequences for many children. Overindulging children isn't just about buying lots of holiday gifts. It can also involve giving kids too much freedom and too little discipline. Giving too much. Whether it's too many toys, too many activities, or too many electronics, giving a child too much can be harmful. Children need downtime and they also need opportunities to learn how to entertain themselves. Over-nurturing. Parents who do too much for their children prevent them from learning the skills they need to gain independence. Doing a child’s homework for him or rescuing her from all uncomfortable emotions can interfere with healthy development. Soft structure. Not giving kids enough discipline or healthy limits can prevent them from becoming self-disciplined adults. This may include not giving a child chores or giving in every time she throws a temper tantrum. There are many reasons why parents overindulge kids. The most common reason is guilt. A parent who works long hours may not want to enforce chores when he arrives home from work. Or, a non-custodial parent may try to compensate for not being around by buying a child lots of gifts. Another common reason is that parents want kids to be “happy.” So rather than say no and risk upsetting their children, they give in and let them have whatever they want. Sometimes parents are just ill-equipped and unprepared to deal with behavior problems. They don’t know how to respond to temper tantrums and defiance. So to make life easier in the short-term, they go to great lengths to avoid disciplining their children. Finally, some parents want to make up for their bad childhood experiences. A parent who grew up in poverty may want to make sure their child doesn’t “go without.” Or a parent who grew up with really strict parents may go to the other extreme and not give a child enough structure. Your child needs to learn she can live without most things. When children receive everything they want, they begin to think they can’t live without the latest gadget or that they can’t survive without new sneakers. It's important to teach kids the difference between wants and needs. Your child may think happiness stems from material goods. It’s easy for kids to start thinking that having more stuff will help them lead a more satisfying life. You may send a message that there’s a link between net worth and self-worth. Material possessions can become a status symbol for kids who think that it’s important to show off how much they have. Your child may not value anything. When kids have a lot of electronics, clothing, and toys, they aren’t able to take care of them. A child may not care when things are broken and may not notice when objects are lost. Therefore, your child won’t learn to be responsible. A lack of discipline teaches kids they don’t have to follow the rules. When rules aren’t enforced, children begin to believe the rules don’t apply to them. They think they’re above the rules and they begin to believe they’re more special than everyone else. Research shows overindulged children struggle with lifelong problems. 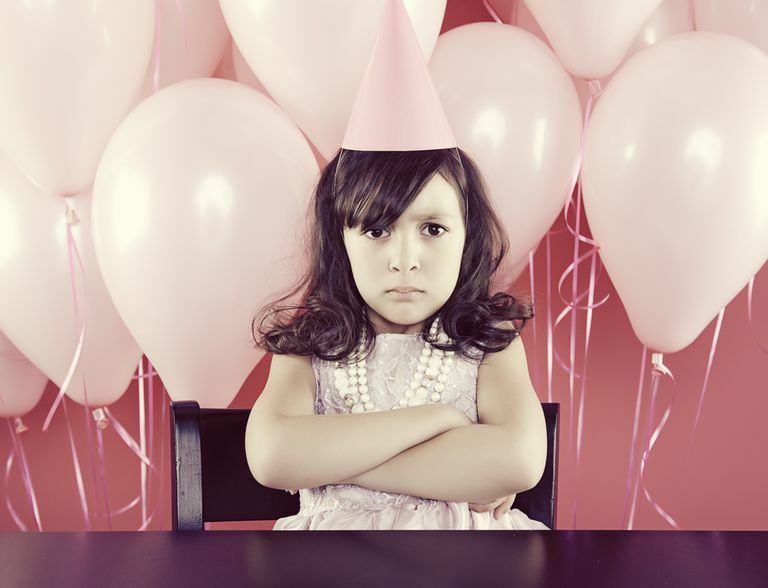 Adults who were overindulged as children report chronic feelings of discontent. Many of them report overeating and overspending. Additionally, many of them report chronic unhappiness and trouble coping with reality. If you’re guilty of overindulging your child, choose to create positive change in your family. Commit to putting a stop to unhealthy behaviors that are harmful to your child. When you start saying no, and stop overindulging your child, you’re likely to see increased behavior problems. Your child will likely retaliate and do everything in his power to undermine your efforts. But if you become more authoritative, you’ll teach your child the valuable life skills he needs to become a responsible adult. Boven LV. Experientialism, materialism, and the pursuit of happiness. Review of General Psychology. 2005;9(2):132-142.